Kristaps Porzingis returned from his injury and decided not to interfere with Michael Beasley’s hype. So instead he scored just one and allowed B-Easy to drop a season-high 32 against the top team in the Eastern Conference. 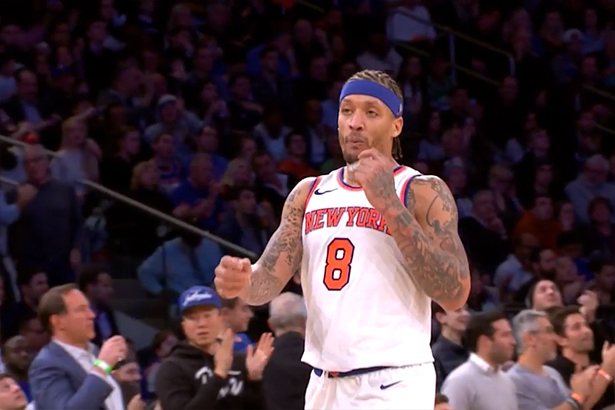 The Knicks built a 14 points lead early in the first quarter, then fell behind by 9 in the third, only to comeback in the fourth and win the game 102-93. Enes Kanter marked another double-double with 14 points and 10 rebounds, Jarrett Jack and Courtney Lee contributed each with 12 points while Doug McDermott, Kyle O’Quinn and Frank Ntilikina scored 8 points each. Statistically, the bench outscored the starters 56-46. For the Celtics Kyrie Irving scored 32, Jayson Tatum had 17 while Marcus Smart and Al Horford scored 10 points each.